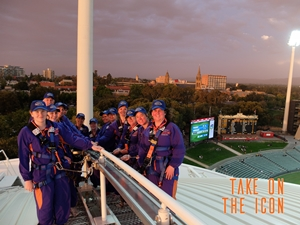 World Teachers Day is coming up on the 26 October and due to the success of last year's roof climb we are again offering 14 teachers the opportunity to enjoy the sights of Adelaide from the roof of Adelaide Oval. If you would like to go in the draw for this fabulous prize then send us information about the best professional learning you have completed in the past year. It could be an online course, a whole school presentation, a workshop or a great article that you think other teachers should know about. We will then share these in future Buzz issues. Please email your entries to communications@trb.sa.edu.au with Roofclimb Competition in the subject line by 5pm Wednesday 17 October. The Centre for Independent Studies, in partnership with Macquarie University, is holding a Phonics Roadshow, which will showcase the evidence basis for systematic, explicit phonics instruction with guest presenters from the FIVE from FIVE Literacy Project and the ARC Centre of Excellence in Cognition and its Disorders. This is a free event so register early. Wednesday 31 October, 8:30am-3:30pm at Ardtornish Primary School, 2 Saarinen Avenue, St Agnes. Register here or contact Kate for further information. The Centre for Islamic Thought and Education (CITE), School of Education, UniSA invites educators of Muslim learners to a symposium themed: Culturally Responsive Pedagogy and Muslim Learners in Australian Classrooms. The symposium hopes to bring together educators from across schools in Adelaide with similar student demographics to chart key complexities, identify responsive approaches, and brainstorm professional learning supports educators’ value. 8.30am–3.00pm UniSA, Mawson Lakes Campus Thursday, 11 October 2018; Cost: Nil Please booking via email here and more information is available from the CITE website . Cue Learning is holding Basic Number Skills in Action, Years R-7 with Adrian Dilger. The theme is ‘maths for all learners’ and the session will use a three phase lesson structure to develop a consistent approach to maths lessons. A thought provoking, 'hands on' and fun, with practical ideas to make every lesson a success. On Saturday 3 November, 8:30am-12:30pm at Blair Athol North School, 5 Marmion Avenue, Blair Athol. Cost: $95, 10% discount for TRTs and 50% discount for pre-service teachers. Click here for further information or to book or contact Phil Callen for TRT or pre-service promo codes on 0400 799 255 or email. Kodaly SA is Celebrating 40 Years of Music Making. On Saturday 3 November, 8:45am-1:00pm at Adelaide West Uniting Church, 312 Sir Donald Bradman Drive, Brooklyn Park. Cost - members $35, non-members $65, full time students $20. For more information or to register click here or email here. Using and Interpreting Data in Schools (online ACER accredited course). This course is a foundation level professional learning program focused on developing teachers’ expertise in using and interpreting different types of data in a school context. It is designed for teachers and school leaders who wish to build solid shared understandings about the kinds of data used in schools, the different ways in which data can be represented and what they can tell teachers about student learning. It is recommended that users of the PAT assessment suite access the PAT webinars prior to starting this course. Seven online topics, 20 hours over approximately 10 weeks. Starts on Monday 8 October. Cost $660. To find out more or to register click here. Learning 4 All is holding Key Word Signing: The key to unlocking communication in education contexts with Liberty Gates, Speech Pathologist. Monday 22 October, 9:00am – 3:30pm at The Highway, 290 Anzac Highway, Plympton. Cost $145. The Visual Arts Educators of SA is holding Drawing in the Gallery for Educators with Luke Thurgate. This event is a drawing tour of the Art Gallery of South Australia which will introduce a range of practical exercises designed to deepen engagement with works on display and build confidence using galleries as a teaching resource for students. Suitable for primary and secondary school teachers. Wednesday 10 October, 10:00am-1:00pm. Cost $32.74. To find out more or to book click here. ACHPER is holding Game Sense Seminar #4 Striking and Fielding Games. This one-day workshop will address the concepts of: Principles of play; movement concepts, designing games for purpose; transfer of understanding; deliberate practice and deliberate play for target games; and the use of questioning as the educative architecture that could be used to construct a thematic curriculum for primary or secondary PE. Friday 26 October, 8:45am-3:30pm at Mega Courts Indoor Sports, 10-18 Albert Street, Windsor Gardens. Members $180, non-members $250 or $320 (includes ACHPER membership) – cost includes morning tea and lunch. For more information and to book click here. School Holiday Professional Learning with the Centre of Democracy, Migration Museum & Parliament House programs. Explore ways to enrich classroom practice and connect with the Australian Curriculum (HASS, Civics & Citizenship, and History) by immersing yourself in these learning programs. Suitable for early career primary and secondary teachers. Sessions are free. Find out more by emailing here or calling 8207 7239. The Dyslexia SA Literacy Expo is being held on Saturday 13 October. Featured presentations include Dr Mary Dahlgren, Alison Clarke and Lyn Stone. At the Education Development Centre, 4 Milner Street, Hindmarsh, 8:30am-5:00pm. Cost $225.90 (inc booking fee). Click here to book or visit Dyslexia SA here. Preventing the Numeracy Gap, on Wednesday 3 October. A numeracy intervention scaffold for early years and Foundation/Reception teachers (and teachers with students not ‘getting the maths basics’). Talking Trauma in Early Childhood will introduce the concept of trauma in early childhood. Young children are more vulnerable to trauma as they are dependent on adults for their care and safety. In this session we will explore ways to support children from trauma backgrounds through the exploration of specific scenarios and resources for trauma informed practice. Participants will have the opportunity to develop an understanding of trauma, its impact and how it manifests in children’s behaviour. Wednesday 24 October, 9:30am-12:30pm at Gowrie SA, Dew Street, Thebarton. Tickets $90. Book here. Thursday 11 October, 9:00am-12noon “Resilient Kids”. All sessions $66 inc GST Details of the sessions and to register click here or email here for further information. Friday 12 October – 8.45am-12.30pm; Developing Number Sense: What matters! Take Control of Your Life! Understand what makes you tick and how it affects you and others with Kate Mason, an introductory workshop where you will learn to understand yourself, build life-changing skills and realise the impact that innate personality types play in your relationships and roles in all aspects of life. 9:00am-1:00pm. Cost $95. 7 Successful Steps to Beating Burnout with Annie Harvey a workshop that will look at practical ways to beat burnout, destress and boost wellbeing. 1:40pm-3:10pm. Cost $61. You can book both sessions for $156 (includes lunch). To find out more or to book click here. Bookings close 12 October 2018.